DESCRIPTION Welcome to the wonderful community of Skyview. Large South/North Facing Windows, allows for ample amount of natural light to come through. This 3 bedrooms/2.5 Bathrooms Townhome comes complete with Upgraded Stainless Steel Appliances (Fridge has a waterline), GRANITE Counter tops, a downstairs FLEX Space or a Home Office, HARDWOOD Flooring, and 9’ ceilings. The Master Bedroom comes complete with a 4 piece Ensuite. Open Concept main floor allows for easy entertaining of multiple guests. Your front yard is a beautiful green space with your own private patio area Situated right off of Calgary major roads, allowing easy access to anywhere in Calgary. Pride of ownership is clearly visible. This is a must see home. 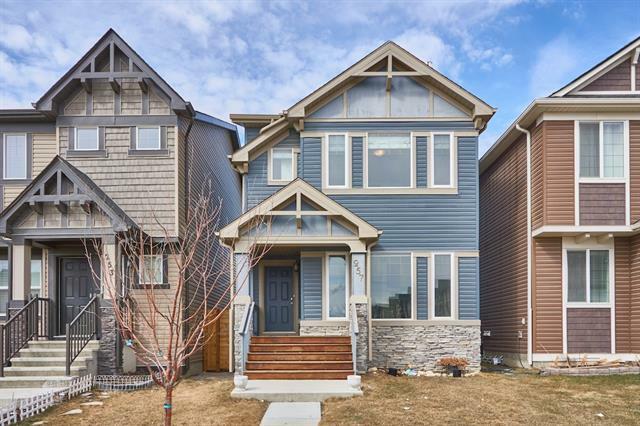 410 Skyview Point PL Ne, Calgary, Alberta, MLS® C4224580 T3N 1B6 is a Attached, 3 bedrooms, 3 bathrooms, approximately 1,365 Sq. Ft. Listing price 294,000.00. This property was built in 2012.